Science and Discovery has never looked this good! Science Illustrated delivers natural science, break through discoveries and an understanding of the world for the entire family. Packed with stunning photography and in-depth editorial it’s a visually spectacular gateway to the world looking into the beginning of life to distant objects in the universe. 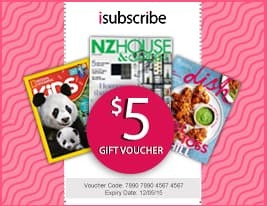 Be the first person to tell us what you think about Science Illustrated Australia and you'll save $5 on your next purchase!